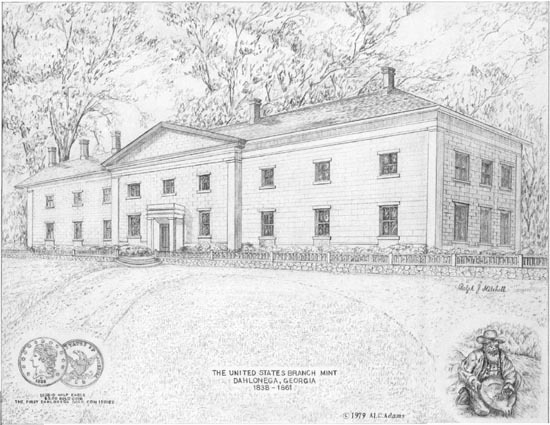 This drawing of the Dahlonega Mint by Ralph Mitchell was copyrighted by Al Adams in 1979. Although following the incorrect mirror image of the Cain engraving, this rendition correctly illustrates the large simulated block in the stucco-covered brick. The rear of the building (stem of the "T") is not visible in this drawing. Source: Al C. Adams, Copyright 1979.